LABIC is excited to announce its new educational workshop series aimed at providing aspiring entrepreneurs with practical knowledge necessary to grow their businesses. All businesses need capital to start operating and to grow, but many new or small businesses do not know where to begin in identifying and securing necessary funding. If this rings a bell, Bootstrapping 101 is for you. 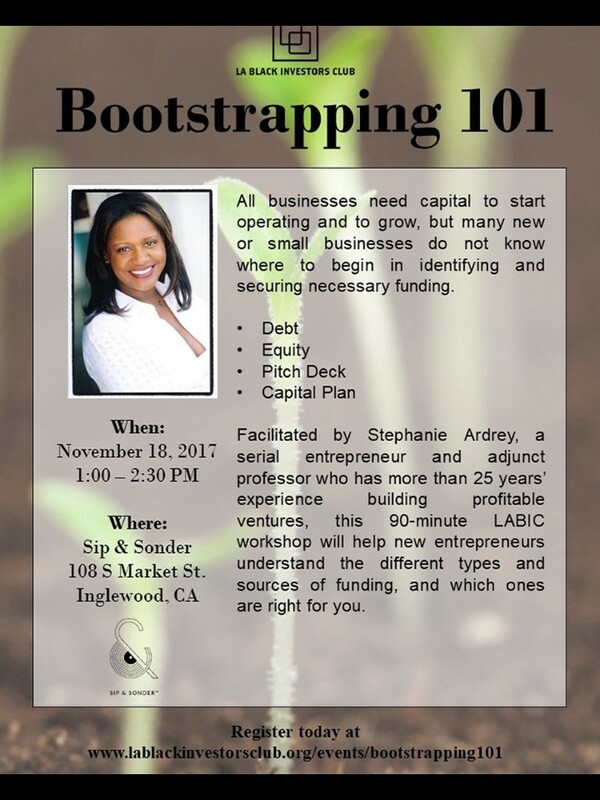 This 90-minute workshop, facilitated by serial entrepreneur Stephanie Ardrey, will help new entrepreneurs understand the different types and sources of funding, and which ones are right for you. We'll cover everything from determining whether a debt or equity strategy best suits your business, exploring financing options (from crowd funding and angel investment to venture capital and institutional funds), differences between series funding rounds, crafting a fiscal management strategy for growth, and much more, all in a safe space where you can ask and discuss everything you wanted to know about funding! STEPHANIE ARDREY has more than 25 years’ experience building profitable ventures in sectors such as entertainment, real estate and finance. In founding the Ardrey Group, Inc., a more than $250 million marketing and communications firm with offices in seven states, she became a leader in multicultural advertising. Her clients have included the California Department of Health Services, Bank of America, the Golden State Warriors and numerous others. 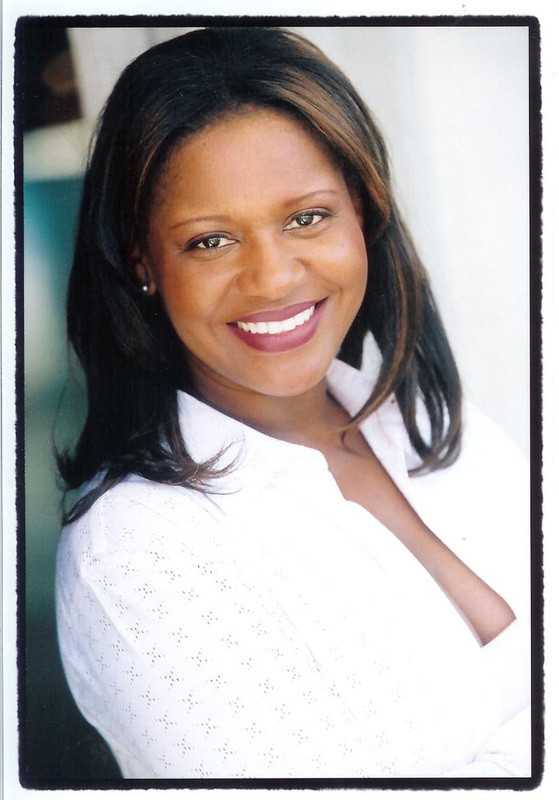 Ms. Ardrey is also the author of “Show Me the Money: The 9Ps To Profit!” and an adjunct professor at UCLA and Cal State Los Angeles. She has trained thousands of entrepreneurs on business planning and strategic growth, especially advising them on debt and equity strategies.